Tamra J. (Tami) White, 59, passed away peacefully at home in Libby on Sunday, November 18, 2018. She was born to Maynard and Jean Sonju on January 23, 1959, and was raised and educated in Libby, graduating from Libby Senior High School in 1977. On September 18, 1982 Tami married Ernest Anderson. They had two children Mariah and Austin. They later divorced. On May 20, 1995 Tami married the love of her life, Mark White. In 2004 Tami and Mark adopted two children, Brieanna and Matthew. Tami loved her family and being a mom, but her greatest joy was being a grandma to her three grandchildren. She especially enjoyed family gatherings and the holidays. She was a gifted baker. She especially enjoyed baking and decorating birthday cakes for family and friends. Her goodies were enjoyed and appreciated by many. 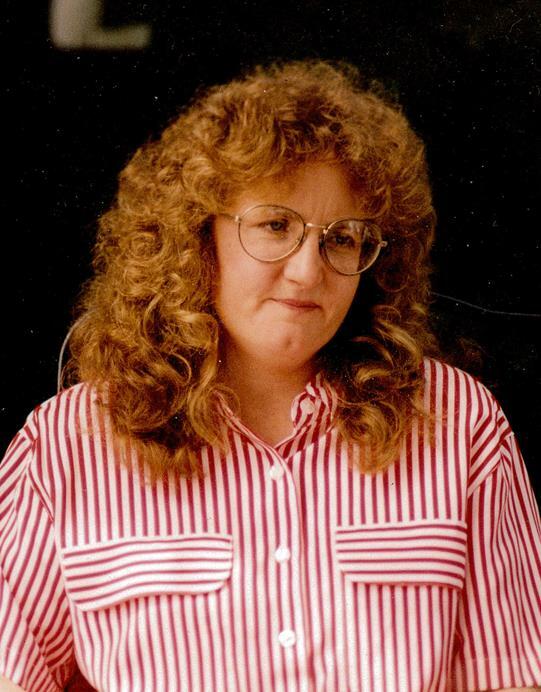 Tami was an avid reader and loved cozy mysteries. She was known to devour a good book in just a few hours. Tami enjoyed picking huckleberries, family game night, collecting salt and pepper shakers and light houses. She and her family made several trips to the ocean visiting the lighthouses she loved. Every summer she and her family would spend a week camping at Fawn Creek. This was a special place to Tami as she and Mark were married there. Tami was a member of Christ Lutheran Church. She was also very much involved in the community. Over the years she was a Girl Scout leader, a Boy Scout leader, was a member of Pioneer Society, Sons of Norway, and The Libby Writers Group. She had poems or articles in the 5-books the Writers group has written. Tami was preceded in death by her father, Maynard Sonju, and her husband Mark White. She is survived by her children Mariah Larsh (fiancé Fred); Austin Anderson (Ashley), Brieanna White; Matthew White; grandchildren MacKenzie and Ian Buell; and Oliver Anderson; mother, Jean Sonju; sisters Joan Sonju and Debbie Sonju; brothers Steve Sonju and Rick Sonju (Dawn); Aunt & Uncle Mary and Harold Malloy; several nieces, nephews, and cousins; Her beloved fur babies Gracie, Max, Pookie, Muffin and Chase and many special friends. Services will be at 1:00 p.m., Tuesday, November 27, 2018 at Christ Lutheran Church in Libby. Arrangements are by Schnackenberg Funeral Home in Libby. Please make any memorials in Tami's name to Kootenai Pets for Life. Online condolences and memorials may be made to www.schnackenbergfh.com.